In my previous writing on the Embedded Predictive Analytics within SAP S/4HANA, we briefly discussed the different Predictive Analytics offerings and approaches, predominantly focusing on the two scenarios that are already available as part of the SAP S/4HANA Cloud, “Quantity Contract Consumption in Procurement” and “Stock in Transit for Inventory Management”. 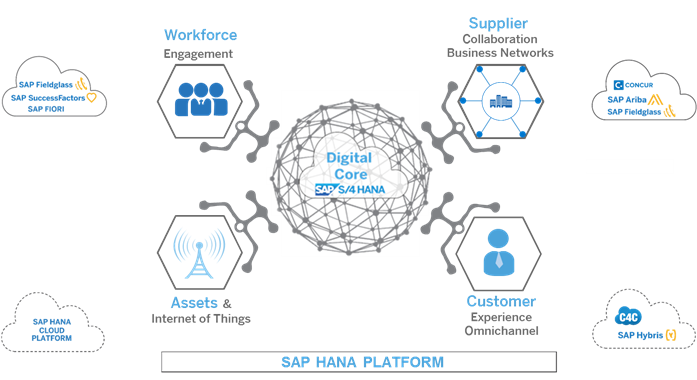 SAP S/4HANA Cloud reimagines businesses for the digital economy. The entire value chain is getting digitized and additional intelligence is being injected into the ERP business processes. The Predictive Analytics integrator forms the key in enabling SAP S/4HANA Cloud to easily access these predictive capabilities within the digital core. 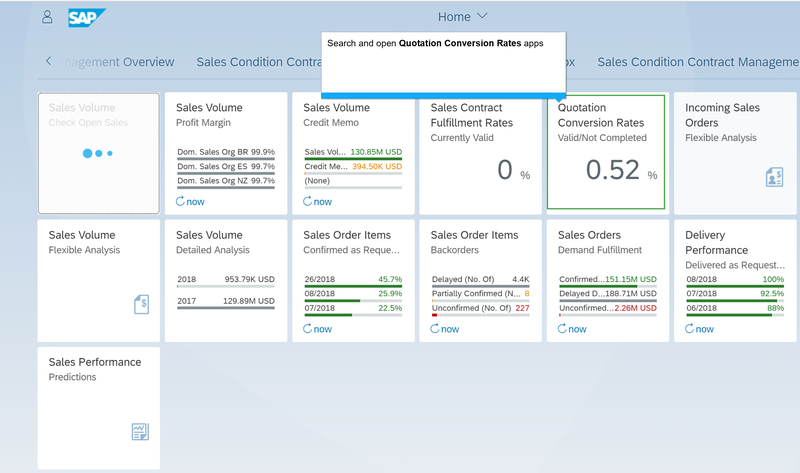 Customers can use the predictive content delivered out of the box by SAP S/4HANA Cloud or create their own Predictive Scenarios specific to meet their unique business needs. I will not dive into those details since we already discussed them in detail in the earlier blog! Just to recap, the predictive capabilities are embedded into the S/4HANA business processes for enabling intelligence into the ERP processes. We discussed a few use cases around Procurement and Inventory Management in our last blog. Now we continue our journey into the new predictive scenarios that have been released in Q1 2018 which highlight “predictions for sales quotation conversion rates” and “forecasting the delivery dates for the stock transport orders” to different plant locations. One of the toughest analysis for a sales manager is to predict the probability of a sales quotation being converted into a sales order, which wins the deal and eventually turns into sales revenue. Currently a lot of manual work is involved in entering the sales order probability, by doing some estimations and calculations. With embedded Predictive Analytics, there is an app created to calculate the probability of the Sales Quotation being converted into a Sales Order. This app utilizes the core classification and regression modeling techniques that are embedded into the sales quotation process and hence predicting the probability of the creation of a Sales Order which is expressed as a percentage or the net value of the Sales Quotation. This helps the sales managers greatly to improve their sales forecasting and boost revenues based on achievable sales volumes. 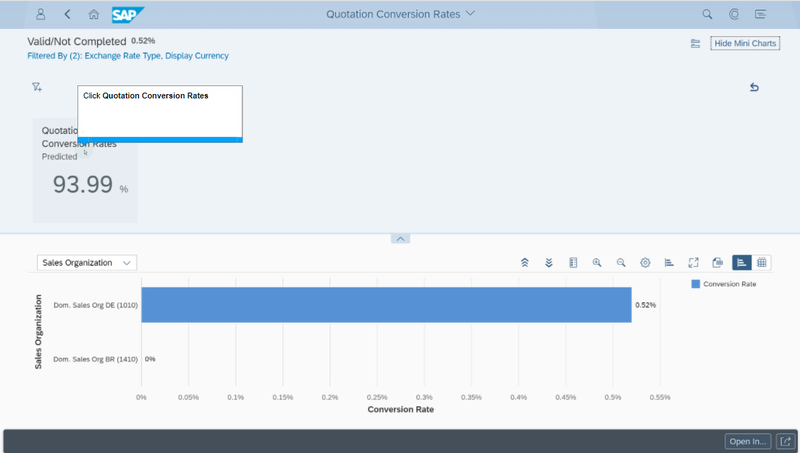 One can dive into the “Quotation Conversion Rates” app and review the various quotations to see the basis for the prediction. For companies managing inventory and transferring inventory between plants, it is important to track the status of the materials in transit in order to take action in case there are problems. This is an extension to the already released use case “stock-in-transit” where you can “predict the shipment dates” for the goods movement between the plants. The “Transfer Stock – Cross Plant” app is updated with the same functionality to automatically calculate the forecasted delivery date based on the available predictive models at hand. When a stock transfer is issued from one plant to the other, the forecasted delivery date is automatically calculated and prefilled. This helps the inventory manager in leveraging the available regression techniques from predictive modelling which is based on analysis from historic data rather than putting a manual forecast date or a rule based forecast date. As shown above in the screenshot, you could see that the “forecasting date” is already calculated and available for the inventory manager during the stock transfer process. You might now understand how fast SAP is adapting in the intelligent ERP revolution to make the customers more profitable for a smoother and a better tomorrow with realistic predictions. Thanks Oren for sharing this information. Is there any Blog or SAP note where the list of Predictive apps is maintained. Also the above 2 apps are released in which version of S/4.